76 mins. Rated PG for some scary images. Welcome to the 12 Days of Christmas, a celebration of Christmas and winter-themed films of all shapes and sizes. 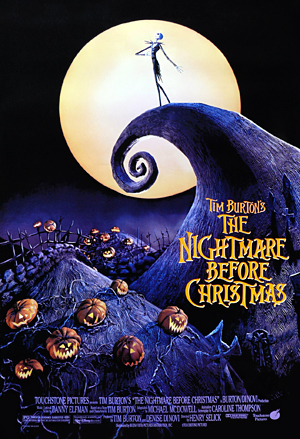 We begin this yuletide tradition with The Nightmare Before Christmas, Henry Selick’s feature film adaptation of Tim Burton’s original poem. After another successful holiday in Halloween Town, pumpkin king Jack Skellington (Chris Sarandon, The Princess Bride, Safe) is tired of the tradition. He wants to experience something new. He gets the chance when he comes across a mystical forest with a tree that transports him to Christmas Town where he falls in love with a new holiday, though he doesn’t quite understand it. 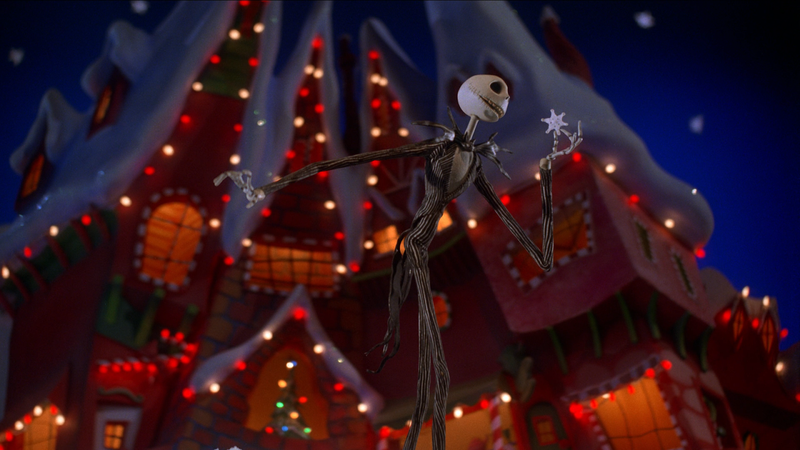 Jack takes it upon himself to bring Christmas to Halloween Town, including impersonating Santa (Ed Ivory, Nine Months) and giving out gifts to the residents of his home world. I have grown to love this movie. It has everything that a new and engaging film should have. It has a unique story idea that seems wholly goofy yet fully realized. It has an enchanting screenplay by Caroline Thompson (Edward Scissorhands, City of Ember) that makes the magic real. It has terrific voicework from leads Sarandon and Catherine O’Hara (Home Alone, A.C.O.D.) as well as secondary performers Glenn Shadix and Paul Reubens. Let’s not forget Ken Page (Dreamgirls, Cats) as the sadistic and demented Oogie Boogie. Henry Selick (Coraline, Monkeybone) understands the stop-motion medium and knows just what is enough. The music here as well is catchy, simple, and engaging to even the musically-declined. Each song is more like a taste and doesn’t wear out its welcome, making the film tight and finely-tuned allowing for multiple viewings. 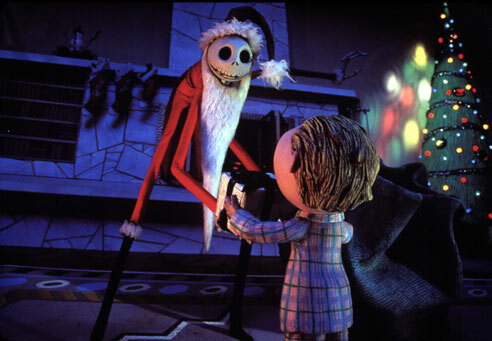 Now Jack’s story perhaps could have been trimmed a bit more and the secondary characters could have had a bit more to do, but as a completed work, The Nightmare Before Christmas has entombed (see what I did there?) itself as a Christmas classic and a Halloween classic, a feat damn near impossible to pull off.